I just don’t understand. Life is so terribly hard. 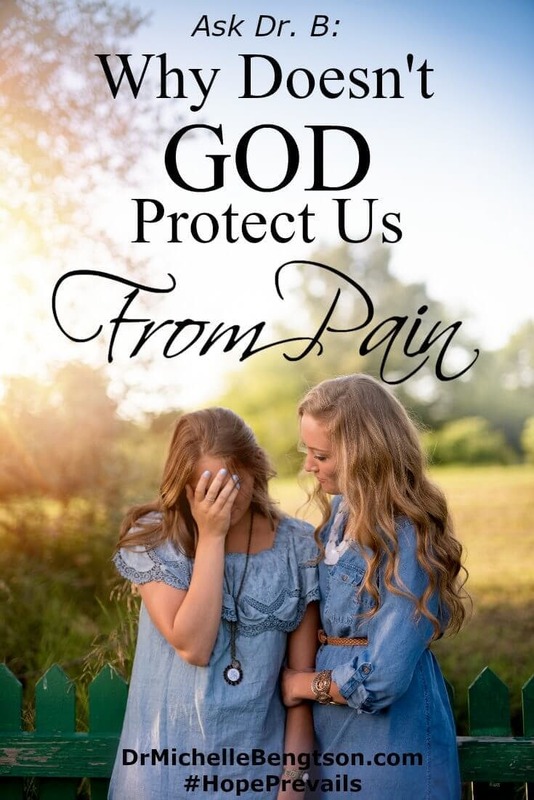 Why doesn’t God protect us from pain? Why doesn’t God shelter us from more? Doesn’t He care? I’m so sorry for your pain. It’s never fun to be in pain, and so often we want God to rescue us from pain. Sometimes pain comes as a consequence to our own behavior. Sometimes it comes as an attack from the enemy who seeks to steal, kill, and destroy (John 10:10). And sometimes, we won’t know why it comes. But there is still reason to maintain your hope even in the midst of pain. God promises that what the enemy intends for our harm, God can and will use for good. God loves you with an everlasting love. He is a kind God. He doesn’t do things to hurt you. #God loves you with an everlasting #love. He’s kind. He doesn’t do things to hurt you. Sometimes God does rescue us from difficulty, but other times, He allows our difficult circumstances to help develop our character or to trust in Him. Sometimes, #God allows difficult circumstances to develop character or build #trust. The Bible tells us that in this world, we can expect to have trouble, but God assures us that He has overcome it all, and because of that, we can stay at peace. We can expect to have trouble, but #God has overcome it all. We can have #peace. 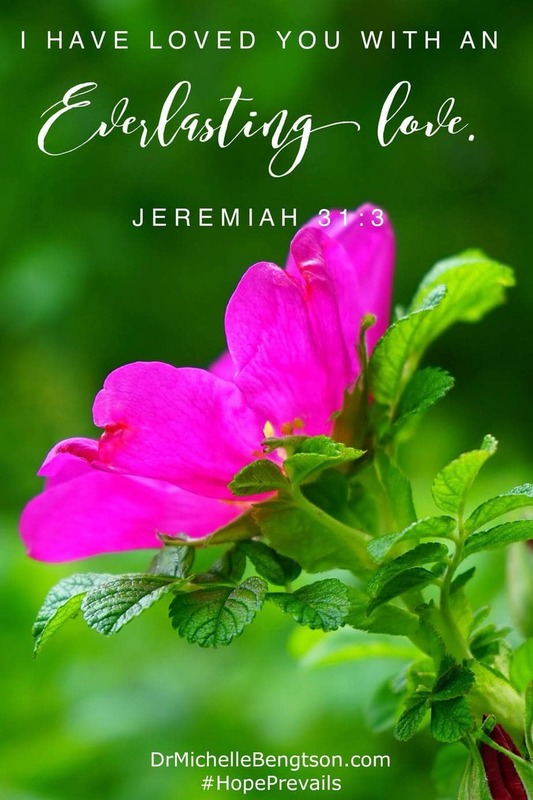 I’m comforted by His promises that even though we will go through difficult times, painful times, that won’t be the end of us, and He will be with us. Even when God allows us to go through difficult times, we have the assurance that He will work all things—even our pain, for our good and for His glory. God is not cruel. He doesn’t delight in seeing us struggle. And He promises that we won’t go through the pain alone. We can take comfort in knowing that even when He doesn’t rescue us from the pain, it has a purpose in our lives. Because of that, we can take joy and be thankful. When #God doesn’t rescue us from #pain, it has a #purpose in our lives. While I’m sorry that you are experiencing pain, I am thankful that it does serve a purpose, and that God in His faithfulness will see you through it so that you don’t have to face it alone. And when you come out on the other side of this painful circumstance, you will be able to comfort others with the same comfort God is showing you. Can I have the honor of praying for you? Father, I pray for the one who is reading this right now, who is in great pain. Lord, I don’t have to know all the details, but you know and you care. Father, I ask that you will extend comfort to their heart, and peace to their mind. Assure them of your presence, and of your ability to work all things together for our good, even when we do not understand. We love you, Lord, and thank you in advance for how you will work this out for their good and your glory. In Jesus’ name I pray, amen. Dr. B, From personal experience, I know pain is from the enemy, We have to speak God’s word over it. That said, there is some pain that we go through while healing. Isaiah 53 tells us what He took for us. And I receive that prayer, I have tired myself out hese past couple of weeks which brings on symptoms. Speaking God’s word is our greatest defense. Keep fighting friend!! You ARE victorious in Christ Jesus! Because of Him, #HopePrevails! I’m grateful for God’s protection and His comfort in times of adversity. In times of challenge, when the pain is great, my prayer is to reach out and keep my focus on God and His promises, not my pain or circumstances. It’ not always easy but God gives me the strength! My favorite verse for times such as these (you shared above), 2 Corinthians 1:4, “Who comforts us in all our troubles, so that we can comfort those in any trouble with the comfort we ourselves receive from God.” Thank you for sharing! You’re so right–it isn’t easy. But it wasn’t easy for Christ on the cross either, but because He died on the cross, we can have peace despite our circumstances. And we can know that God is trustworthy and all His promises are yes and Amen! Amen! He is faithful no matter what and will see us through. Even though we can’t always see it, He sees the big picture and knows how he will use it for good … especially, to conform us the the image of His Son. Thanks for speaking this truth here. Donna, thanks for your affirmation. You’re a treasure! God bless. Excellent post, Michelle! This is a question that haunts so many people and seriously hinders their faith. Good job answering with compassion and clarity. However, that been said, there are other reasons for pain persisting in a person’s life and the best course of action is to find out from God himself the reason and what you should do about it.